In her extraordinary swimming career, Shirley Babashoff set thirty-nine national records and eleven world records. Prior to the 1990s, she was the most successful U.S. female Olympian and, in her prime, was widely considered to be the greatest female swimmer in the world. 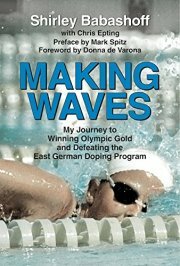 Making Waves displays the remarkable strength and resilience that made Babashoff such a dynamic champion. 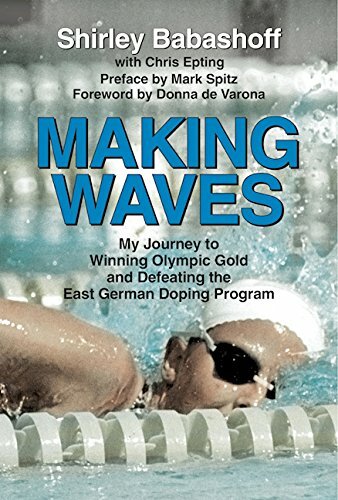 From her difficult childhood and beginnings as a determined young athlete growing up in Southern California in the 1960s, through her triumphs as the greatest female amateur swimmer in the world, Babashoff tells her story in the same unflinching manner that made her both the most dominant female swimmer of her time and one of the most controversial athletes in Olympic history.